[패턴영어] 상위 ~위의 ~는 뭐야? What are the top ten books students must read? What are the top ten books students must read? 학생들이 반드시 읽어야 하는 상위 10개의 책은 뭐야? 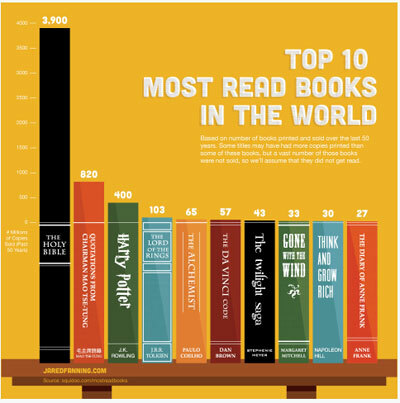 What are the top ten books student must read? 내가 배워야 할 상위 5개의 언어는 뭐야? What are the top five languages I should learn? 상위 10개의 휴가지로는 뭐가 있지? What are the top ten holiday destinations? 라디오에서 상위 10위의 히트곡들은 뭐야? What are the top ten hits on the radio? 고혈압의 상위 10가지 이유는 뭐야? What are the top ten reasons for high blood pressure? 관광객들이 가장 많이 찾는 명소 상위 10군데는 어디야? What are the top ten tourist attractions? 크기로 보았을 대 상위 10개의 동물은 뭐지? What are the top ten animals by size? 상위 10개의 로맨틱 코미디 영화가 무엇이 있지? What are the top ten romantic comedy movies? A: What are the top ten books students must read? B: That depends on what grade they’re in. 그거야 학생들이 몇 학년인지에 따라 다르지. A: What are the top ten reasons for high blood pressure? 고혈압의 상위 10가지 이유는 무엇이지? B: High on the list is aging. A: What are the top ten romantic comedy movies? 상위 10개의 로맨틱 코미디 영화가 무엇이지? B: My favorites are the oldies. 내가 좋아하는 것들은 다 옛날 거야.